The Cost of Remodeling These Days: Updated! 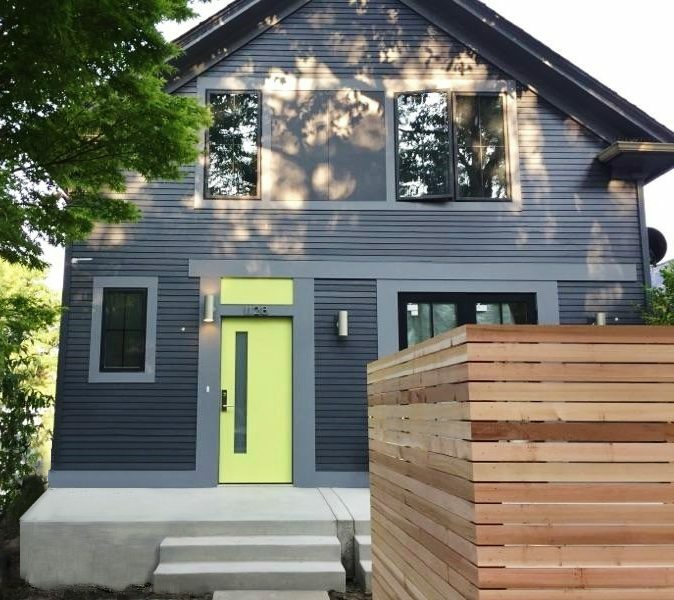 DADUs, Backyard Cottages, & Small Living in Seattle: Can You DADU too? 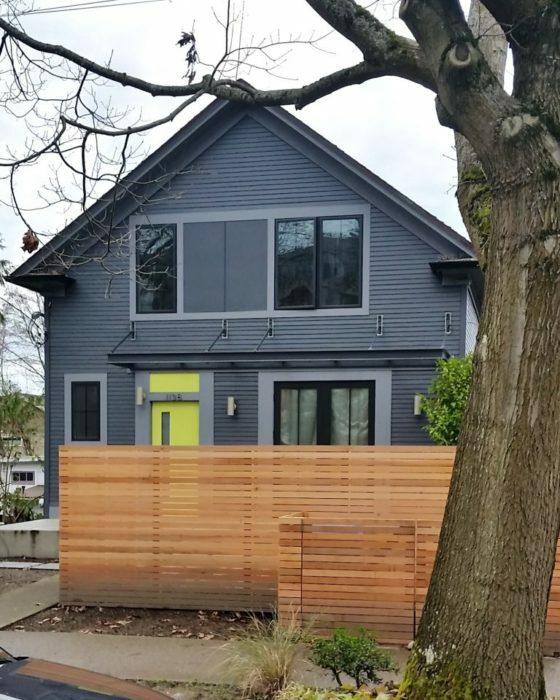 CTA is just about done with a major remodel and addition to a humble 1900s Queen Anne-style home in the Central District. The long-time owners were ready for their house to match their upbeat lifestyle while also come up-to-speed with energy codes and to reinforce its structure so that this centenarian will keep functioning for the next 100 years. 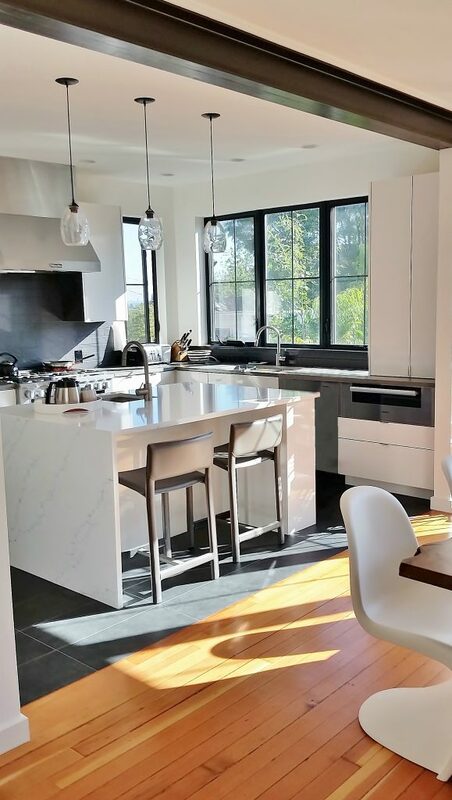 The complete transformation brings in an abundance of natural light, bright and classic materials, and a touch of steel for a clean, contemporary feel to this historic home. The last remaining work is finishing up the landscaping and fence at the front yard. Now that both front and rear steel canopies have been installed, it’s nearly complete! The original home is considered a Queen-Anne “Free” style house, which is a cousin to the Queen Anne Spindle style known for its elaborate detailing. The QA Free is more modest, characterized by a long, covered entry porch, quaint entry vestibule, and multiple small rooms that are closed off from one another to allow for receiving guests while private areas of the house are kept out of sight. We took these elements and developed a plan to retain the historic features of the house that the clients loved, while updating others with a contemporary twist. See below for a “before” picture of the house for comparison. The first measures taken in this remodel were to intervene in the deteriorating structural system: the house was essentially a rhomboid – in other words, a parallelogram on all sides – leaning in two directions and being pulled downward by the obsolete chimney. We ratcheted the house to be plumb and square, installed hold downs and shear walls for permanent stability, and tied the rest of the house to the foundation. 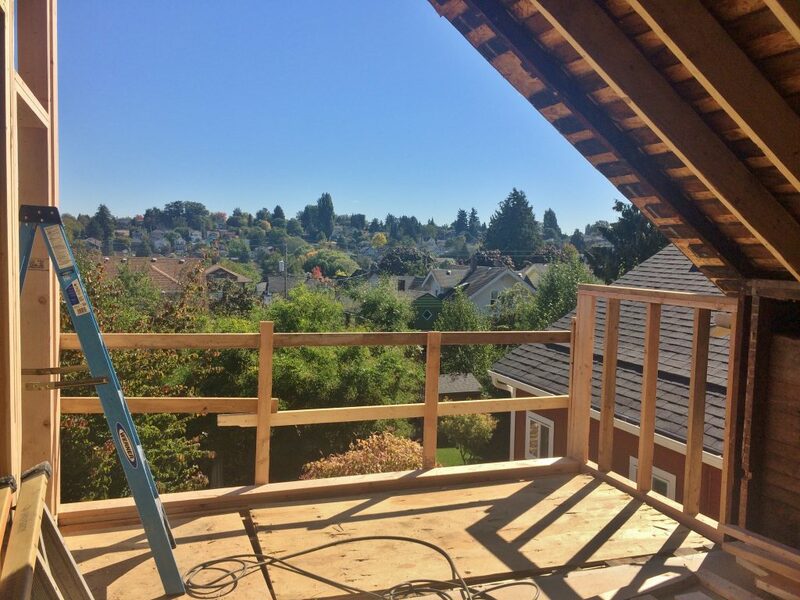 Other upgrades included tearing down many of the first floor walls for an open-concept living space and replacing them with steel I-beams running the length of the house. 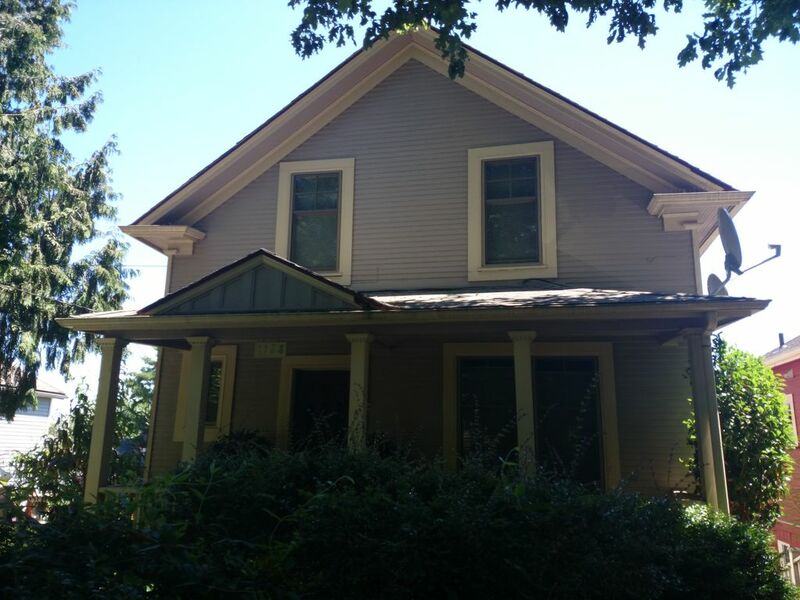 The front porch roof was also removed in the process due to its poor state of disrepair. Next came energy upgrades; we replaced all windows with code compliant insulated glass, installed roof, floor, and wall insulation where needed and where there was none, and installed a new mini-split HVAC system designed for the new heating load (far lower than the original due to the new insulation). Worth a whole topic in itself, the building envelope was completely intact from the original construction, meaning the house did not have any structural sheathing or bracing, and the budget didn’t allow for residing AND re-sheathing the home. For those ArchiNerds out there, the wall section was a solid T&G ship lap siding in perfect condition, attached to studs, with gypsum attached at the interior – that’s it! This was an issue in itself, and became quite a detailing challenge when it came time to install the new windows. 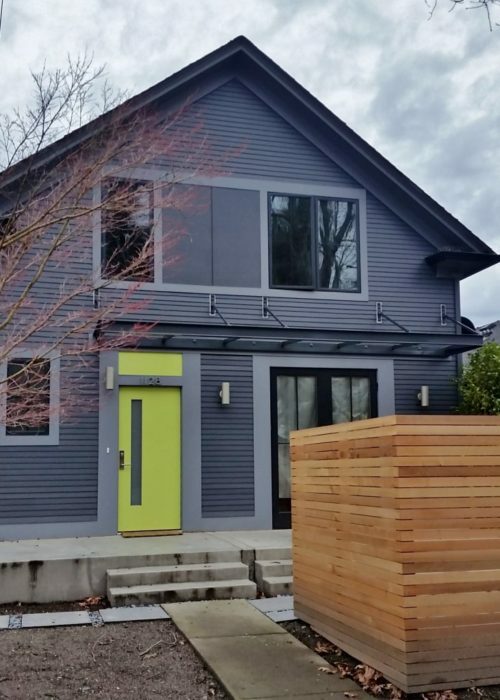 The end result included installing specialized building wrap on the INSIDE of the siding to protect against air and water infiltration, with new insulation and drywall throughout. 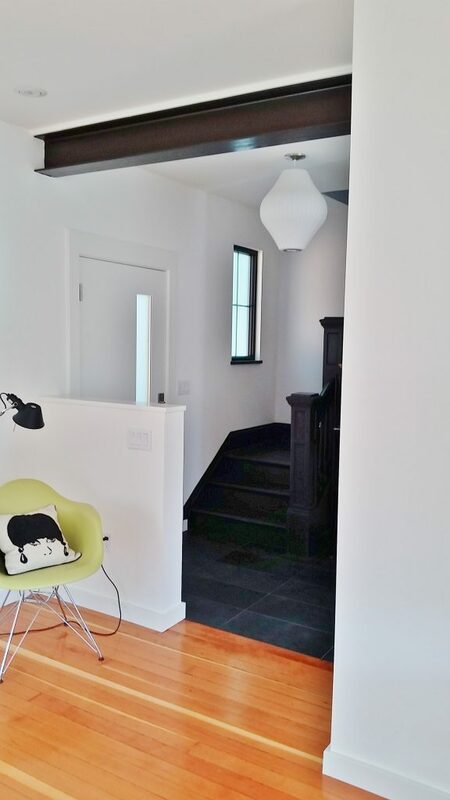 Our design intent was to transform this turn of the century home into a bright, contemporary entertaining space. We installed wide doors at the front and rear of the house that opens up their new deck to their double depth backyard and their front porch to their enclosed garden. The historic covered porch has been reimagined with the glass canopy at the front and rear to allow for indoor-outdoor entertaining in any weather. A two-story rear addition added room for a full master suite with a walk-in closet and deck off the master bedroom, along with a guest room and den in the existing upper floor. Care was taken to preserve the historic elements of the interior: baseboard and trim were given generous widths to match the existing style, the original fir floors were refinished upstairs and down, and the original staircase and newel post were refinished to call out the real history of the home. Historic elements were contrasted with new to create a wonderful contemporary space with a sincere acknowledgement of its unique past. We look forward to taking a couple more photos once the owners have had a chance to settle in, and once the entry canopies are in place, so we can truly show off this contemporary transformation!